The tiny touchscreen of your Apple Watch requires the same care as your ultra-large screen of your iPhone. Since they aren’t as scratch-resistant as they probably should be, a lot of people are interested in investing Best Apple Watch Screen Protectors. The gorgeous device fits perfectly into the ecosystem, it has managed to develop strong competition and is working very well without a single hiccup. Despite all the great benefits, the smartwatch is still a sensitive device which is easily prone to scratches, spills, scrapes and much more. Today, with plenty of Apple watch cases and covers in the market to choose from, it’s very difficult to decide on the ultimate option for your smartwatch. Therefore, to provide a nice extra layer of protection to your Apple Watch here’s a rundown to the Best Apple Watch Screen Protectors so far! Among the glut of best Apple watch screen protectors, finding the ‘One’ for you is truly a big challenge. However, we have listed down the top picks of 2018 that will help keep your screen free from chipping and scratches. Skinomi tops our list of best Apple Watch Screen Protectors in 2018, due to its adoption of laser cutting technology which offers maximum coverage to watch’s face and its edges. The screen protector is designed with a flexible material which bends over to give 360-degree protection including the curved areas of Apple Watch Series 4 display. • Fits perfectly on the watch & doesn’t leave bubbles behind. • Comes with a pack of 6. • Toughest clear protective film among the competitors. • Non-sticky or restrictive outer surface. • An extra layer of UV Protection to avoid yellowing. • Anti-scratch, Glossy & Anti-shatter. • Value for money product. There are several companies who make Apple watch accessories, However, talking about the majority of the cases most of them don’t have a cover on the screen. Rather, they rely on the ‘raised case edges’ to protect the screen from hitting hard surfaces. So, if you are looking for a screen protector that just make sure the front, sides, and screen are fully secured then go for purchasing- SIRUIBO Protective Cover. • Compatible with Apple Watch Series 1/2/3. • Does not affect the screen responsiveness. • Lightweight & ultra-thin case that just fits smoothly. • Full protection over iWatch face and edges. Best for Gym lovers, unlike other Apple watch cases & protectors, Lelong is water & sweat-resistant. At a great price lower than many competitors, Lelong gives two cases in a pack, one for everyday use which is an all-around clear cover to prevent the watch from scratches and collision, and other is without screen protector & with a soft bumper case which is best while going for a gym or doing any sports activities. • Full around protective case covers the iWatch face, sides, and edges. • Ideal option when swimming, running or working out in a gym. • Swapping between the cases is super-easy. • Compatible with Apple Watch series 2/3. Looking for Apple watch glass screen protector that provides full protection and also lets you show off your iWatch design? Look no further as Julk iWatch TPU Screen Protector is your ultimate option. From solid tempered glass to a TPU film that fits snugly onto your watch face, Julk iWatch is a perfect option to offer great protection against dust, oil, dents, scratches, and smudges from fingerprints. • Transparent, plain & glossy. • Have a rigid body to avoid scratches & dents. • Crystal clear TPU case. • The protector does not stick to the screen. Another popular screen protector available for iWatch Series 4 is iXCC that brings cutting-edge technology letting it cover every nook and cranny of Apple watch’s display. Its tempered glass screen protector provides exceptional drop & impact protection. Not only this its ultra-transparent material with an anti-smudge overlay makes sure that that the protector doesn’t hinder HD viewing experience. • Best for providing protection due to minor accidental drops. • Covers only flat portion of the Apple watch’s display. • Corners & edges are prone to drops. 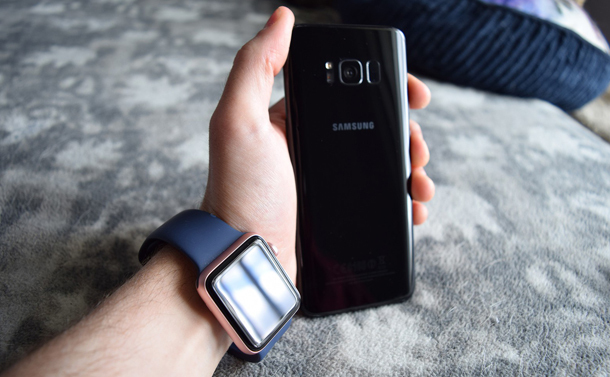 • Recommended to use it along with an Apple watch case for optimum protection. Make sure to show off the actual display of your shiny new iWatch but don’t forget to protect it with AYAMAYA glass screen protector that comes with 0.3 mm thick glass & edge-to-edge protection. So, that your precious watch does not get exposed to any scratches, scrapes or scuffs. And all thanks to oleophobic coating that is capable of reducing blots & stains that occurs due to oil, dust, and fingerprints. • Polished, rounded edges with tempered glass. • Supports Apple Watch 42mm sports edition (All Models). • Gives full coverage edge to edge protection. • High-quality anti-static adsorption film. LK is a prominent name in producing classy Apple watch accessories. If you are looking for an economical screen protector for iWatch series 4, then do check out LK glass screen protector. The protector is crafted using a revolutionary process and usage of thermoplastic urethane, therefore covers the display and curved edges of iWatch entirely. • Comes with a unique adhesive which allows it to be washed, reapplied and reused. • Protective guard against scuffs & scratches. • Oleophobic fingerprint resistant coating. • Compatible with iPhone’s 3D functions. Quite an economical option, IQShield Screen Protector is crafted using a revolutionary process that combines high response sensitivity, non-yellowing, self-healing durability & optical transparency. Accompanied by innovative LIQuidSkin adhesive, thus ensures bubble-free and easy installation leaving the film perfectly contoured to any device. • Supports Apple Watch Series 3. • No rainbow effect, no gaps, no bubbles. • No detectable decrease in screen touch sensitivity. • Their every model is backed by lifetime replacement warranty! If you’re minimalistic, and you just want to provide a basic cover and protection to your iWatch, choose undoubtedly JETech Screen Protector which shields the watch with no extra bulk and fuss. A great budget-friendly option that just makes sure that your watch stays in the same condition as you bought it. • Supports Apple Watch 42 mm Serial 1,2,3. Your Favorite, Apple Watch Screen Protector? 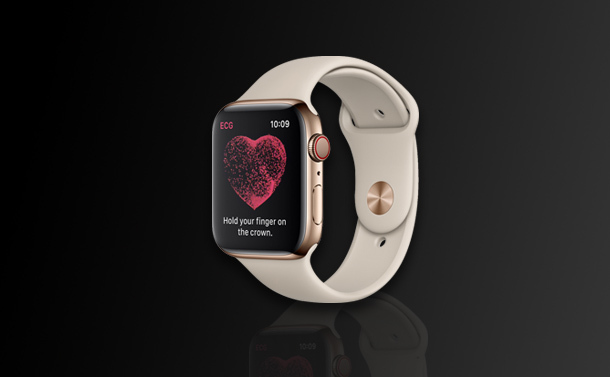 If you’re spending a great deal of effort and money to choose the ideal Apple Watch for you, then you should definitely put an aid to it to keep it in the best possible condition for as long as possible. Moreover, Apple watch cases and accessories are great assets to do that. Also, keep in mind before buying the ideal one for you, just make sure you choose according to the size of your iWatch so that you aren’t disappointed when it arrives. Do let us know which one you’ve tried and how it’s been working for your Apple Watch? How To Install Or Change Screensaver in Ubuntu?